The immortal guru of Pop Art Interest continues in the American artist who in his serial images celebrated the banality of living and of dying. 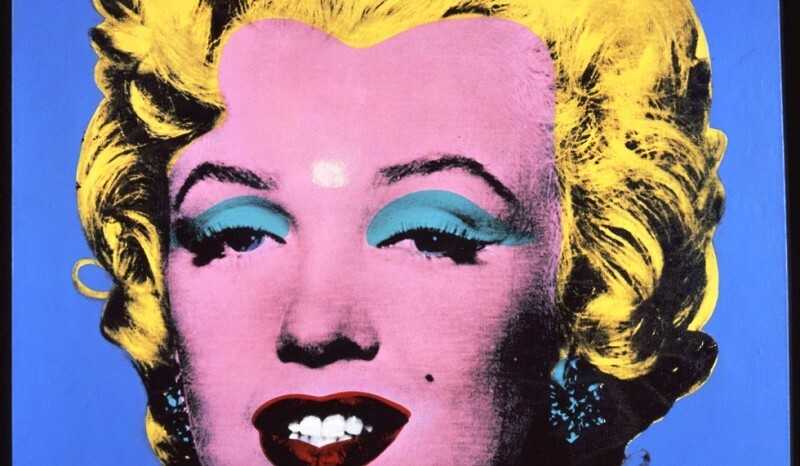 In Italy the fascination for Warhol, the ultimate guru of Pop Art continues. There has been a series of shows up and down the Boot for the whole of the 2013-2014 season. There are still two going on, each from a different perspective and historical point of view, but both important. In Rome in Palazzo Cipolla there is a show in progress until 18th September, which has already been presented to a burgeoning public in Milan in Palazzo Reale. On display are 160 works from the foundation created by Peter Brant, a great American collector. In Naples, in the Municipal Palazzo delle Arti, another large exhibition, called “Vetrine” can be seen until 20th July, illustrating the relationship between Warhol and this city in the Eighties. The Marilyns, the Coca Colas, the tins of Campbell’s soup, the flowers… they’re all there in these two exhibitions; the icons that marked the planetary success of the prophet of the “society of simulacra”, or, if you prefer, of the banality of living (and of dying). But in the Rome show it’s Blue Shot Marilyn that leaps to the eye: one of the four canvases bearing the famous image of the actress that had been stored up in the Factory in New York that Dorothy Podber, who had sneaked her way in under a pretext, fired a gun at, producing a bullet-hole in the forehead, and which was still visible in the canvas that the enterprising collector acquired for 5.000 dollars (Blue Shot Marilyn, 1964). “I like it how it is,” said the artist “as if she had a mark or a spot”. In 1968 it was Warhol himself who was wounded in the belly with a bullet fired by Valerie Solanas. 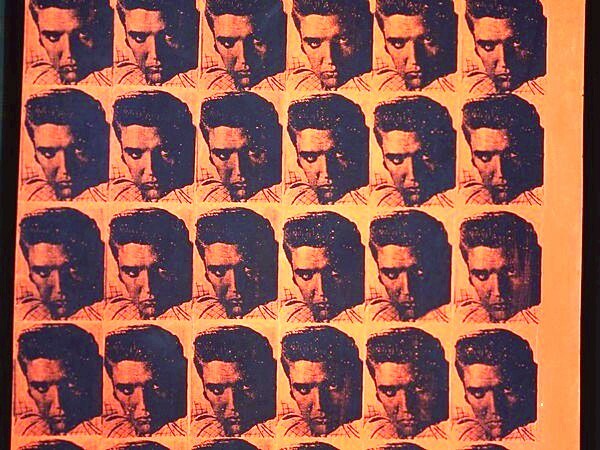 During his convalescence he met Peter Brant who already owned some pieces which are now considered amongst the most estimable like Red Elvis from 1962 (large silk-screen canvas with the face of Elvis Presley multiplied on a red background). A friendship was struck up and also a business relationship that bore fruit in 1972 in the Mao series, that relaunched Warhol on the market after a period of depression. So Brant’s story becomes more and more intriguing, as can be read in the interview with him by the great New York art dealer Tony Shafrazy in the glowing catalogue – bilingual objet d’art edited by 24Ore Cultura. For the PAN exhibition, curated by Achille Bonito Oliva, the historic meeting in Naples between the American Warhol and the German Joseph Beuys, the major exponent of the European avant-gard, which took place in May 1980, is of great interest. It was encouraged by famous collector and gallery-owner Lucio Amelio, a promoter of culture in the south of Italy. But in that same year, a terrible earthquake hit Irpinia and two years later an exhibition entitled “Terrae Motus” was dedicated to this event, for which Warhol executed a still-famous work: the enlargement – transformed into “readymade” of eloquent dramatic power – of the front page of the biggest-selling daily newspaper in Naples, the “Mattino” of 26th November 1980, that appealed for help in its capitalized headline of “Fate presto” (Hurry up). 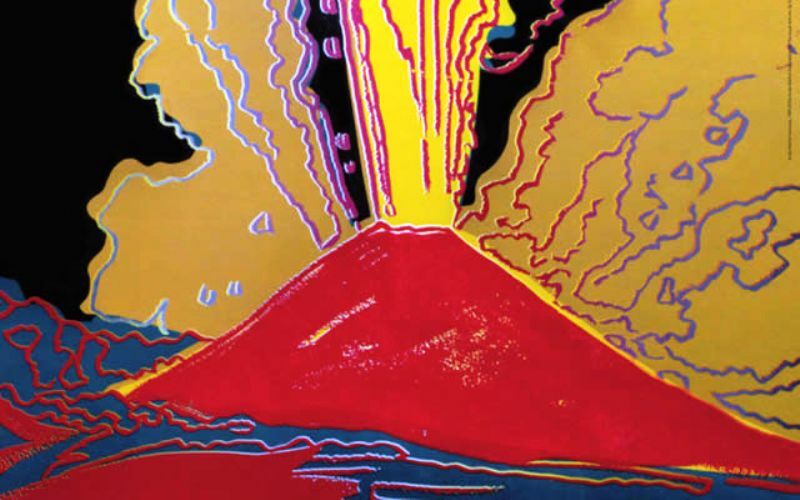 The series of paintings and silk-screen prints called “Vesuvius” is from 1985: it presents the vibrant image of the erupting volcano in diverse chromatic versions. Since then the image has been elevated to the status of a modern icon of the city that Warhol said he loved because it reminded him of New York for its “many transvestites and trash in the streets”. 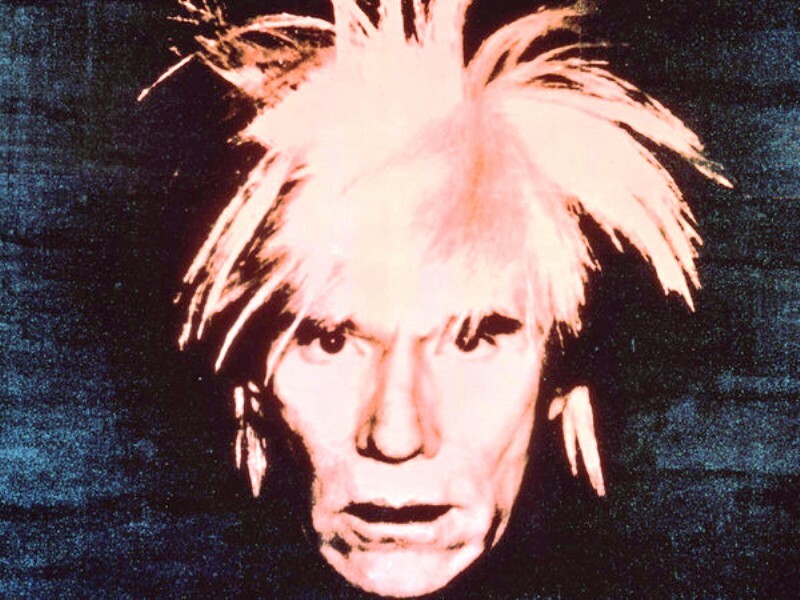 Andy Warhol’s capacity to raise the images of consumerism and news to mythical importance is the mark of a genius whose long shadow transcends the paradox of the cynical seeking-out of stereotyped superficiality. Destiny or Chance would have it that he was working on the theme of Leonardo da Vinci’s Last Supper before dying in 1987 (at 59, of a complication during a banal operation on his gall bladder). The whole cycle is presented in Rome in the final hall dominated by a spectacular re-elaboration on canvas of more than 10 yards long. With an appropriate coup de théatre the exhibition flanks it with his last, tragically soulful Self-portrait in red on a black background from 1986. In his diary he had written: “At the end of my days, when I die, I don’t want to leave rejects and I don’t want to be a reject”.